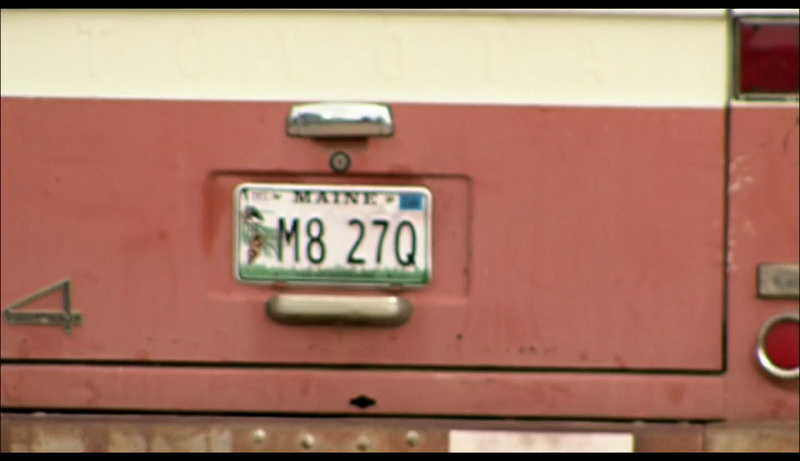 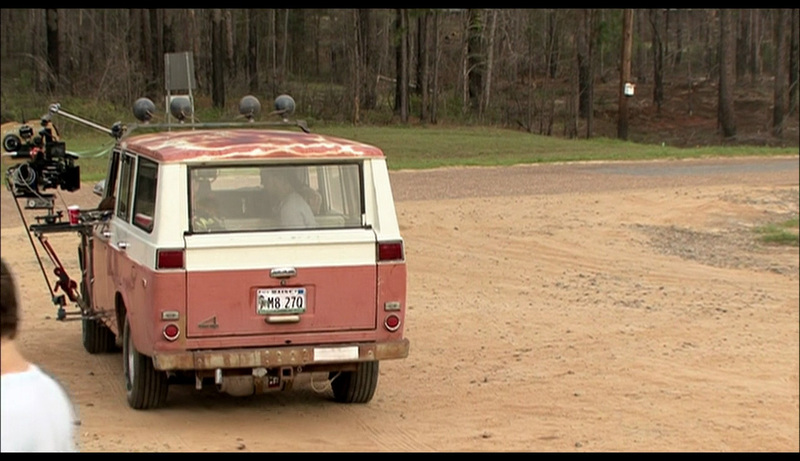 David Drayton’s (Thomas Jane) license plate display from Frank Darabont’s 2007 sci-fi horror The Mist. 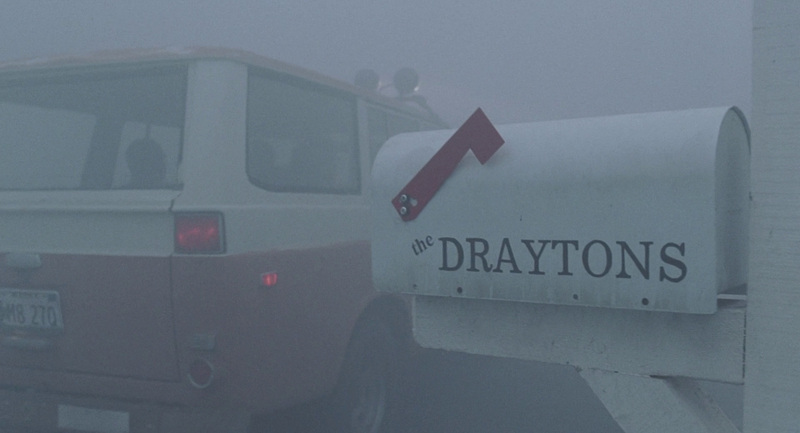 Based on Stephen King’s novel of the same name, the film tells the story of a small town enveloped by a strange mist that releases a savage breed of creatures, terrorising the inhabitants. 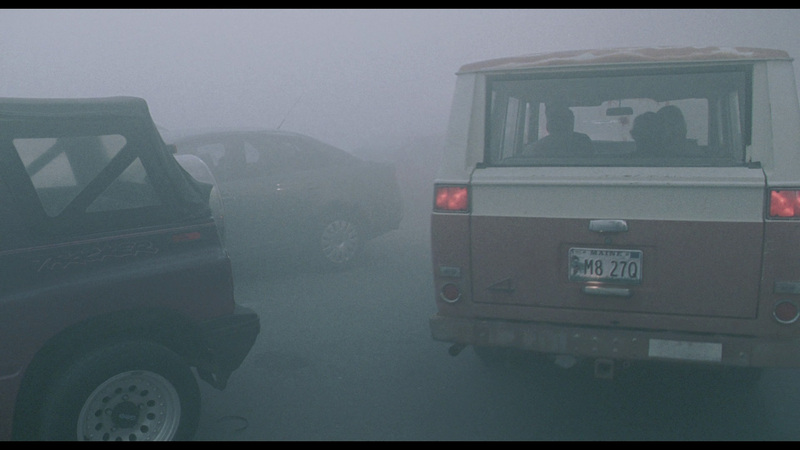 A small group take refuge in a supermarket where they take a stand against the beasts. 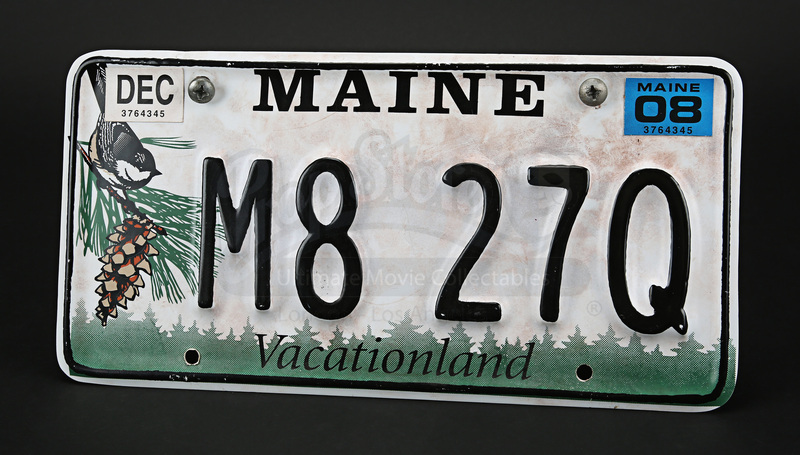 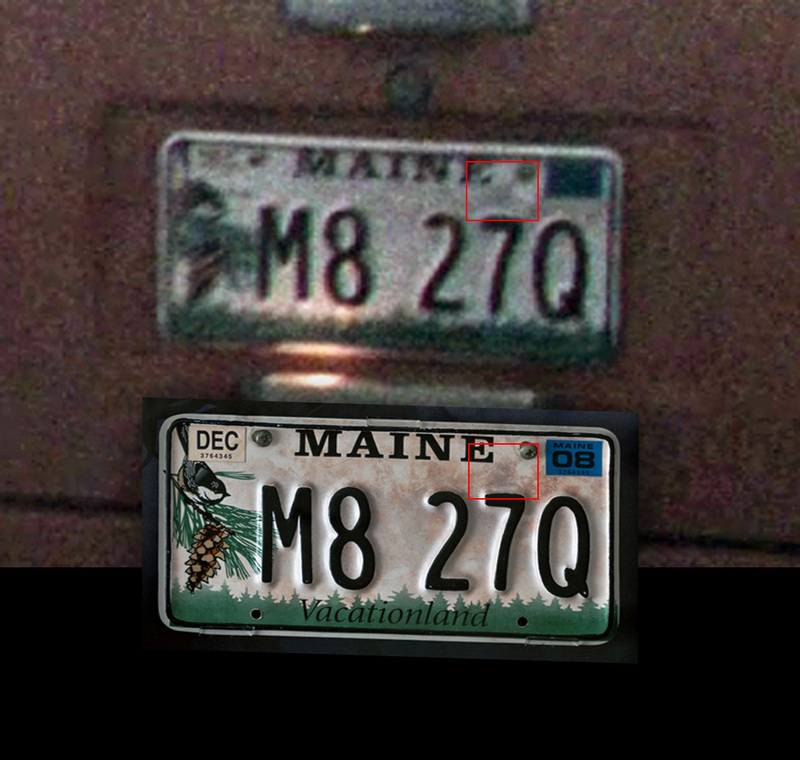 This license plate screen matches to David’s license plate as seen on the back of his red and white van when he and the survivors ventured out to gather medical supplies and look for other people - the car passed under a fallen freeway sign. 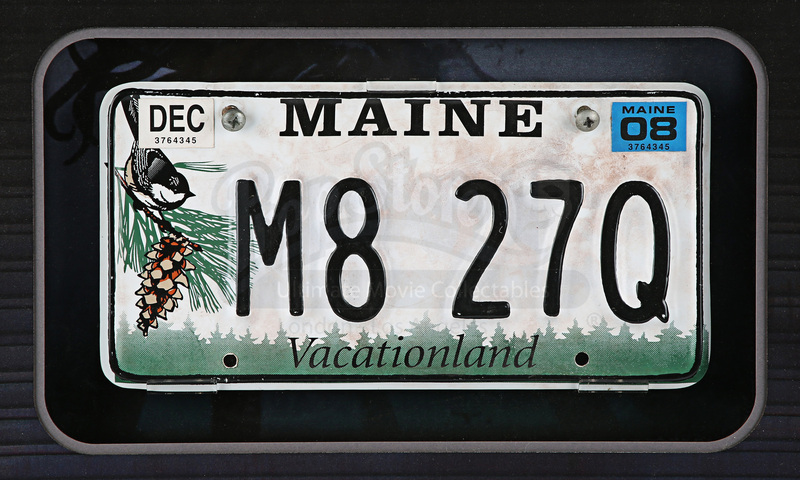 A sticker on the reverse has been printed 'David'. 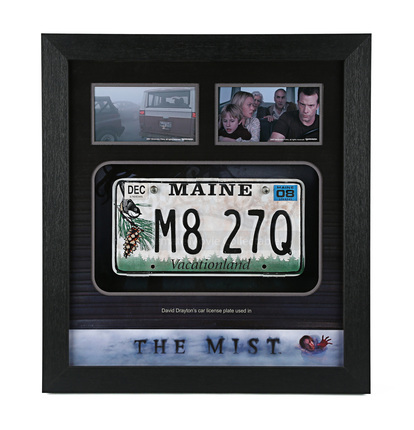 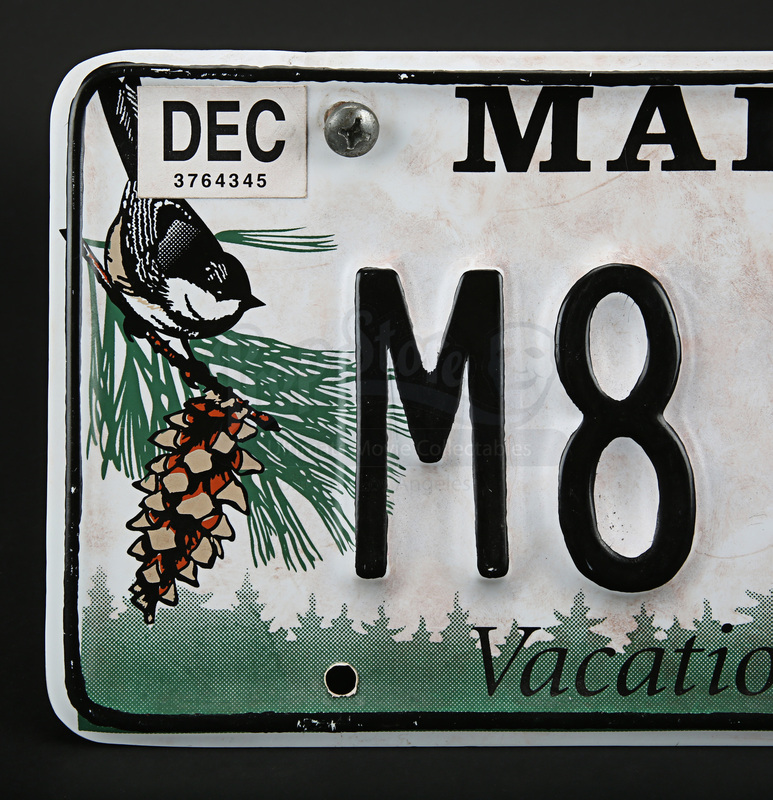 The license plate is presented in a custom-made display case with laser-cut mount board and two stills from the film. 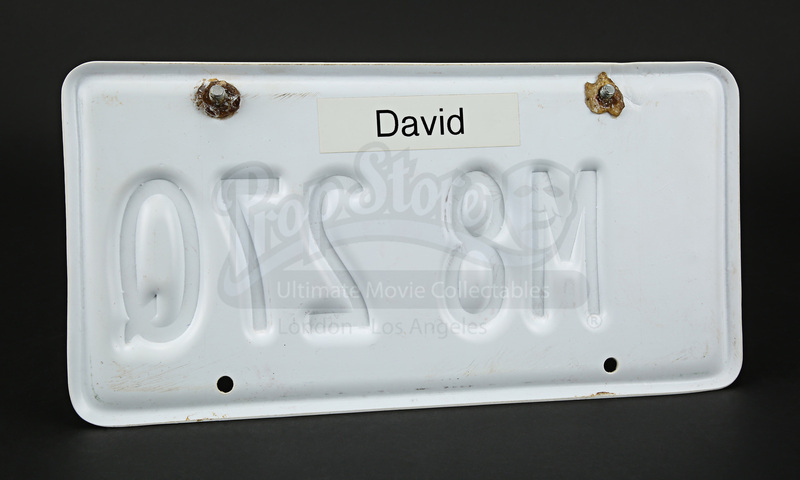 Beneath this are the words ‘David Drayton’s car license plate used in’ and the movie title. The case features an acrylic cover and can be opened at the side for easy access to the prop. 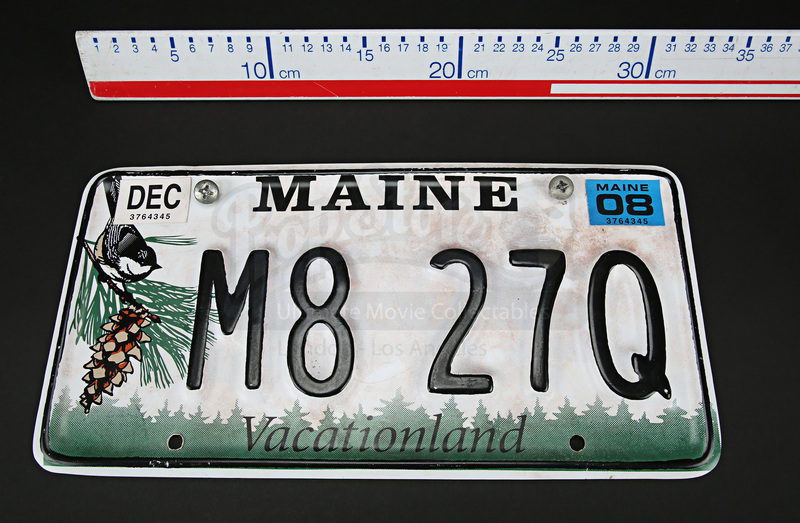 Showing only minor marking, the piece remains in excellent condition.